Specializes in providing solutions for tensioning and torque limiting applications. All of our products are designed, machined, assembled and tested at our facility in order to supply our customers with a superior product at a competitive price. We are dedicated to bring you unparalleled customer service. Standard catalog items ordered before 3:00 p.m. EST are shipped same day from our facility in Midland, MI. Our product lines are backed by a one year warranty. Need something special? Our SolidWorks files can be easily e-mailed and downloaded into your application designs. 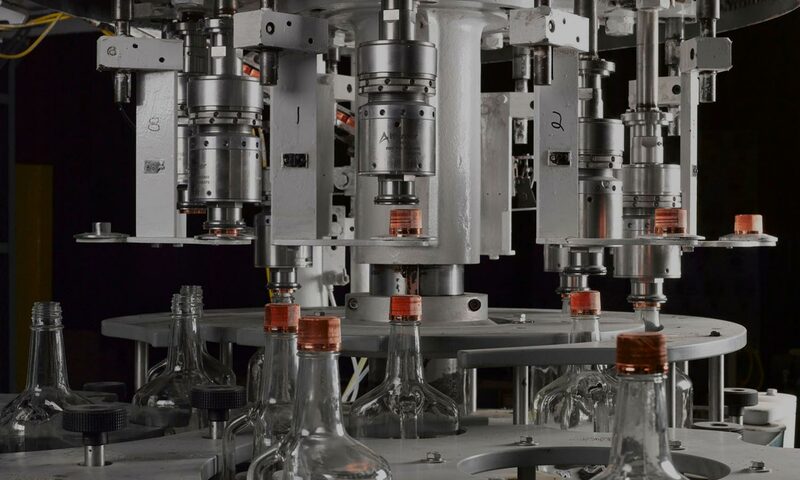 Whether you want to provide constant tension on a rewind spool or consistently torque caps on a bottle capping line, we can help you select the product that is right for your application. The Precision Torque team prides itself on short lead-times and quality product made to last! Precision Torque has been manufacturing bottle capping headsets for over 20 years. Our SMOOTH TORQUE magnetic headsets are made to interchange with most OEM headsets on rotary capping machines. Precision Torque manufactures other replacement parts for bottle capping & filling equipment, like anti-rotation knives and capping spindles. We offer a less expensive option to OEM spare parts and provide short lead-times. Precision Torque offers a complete line of cap chucks in order to provide our customers with the most reliable capping equipment on the market today. We offer cap chucks at a very competitive price and with short lead-times. Precision Torque’s permanent magnet units provide constant torque independent of slip speed, making them extremely dependable. Our permanent magnetic units require minimal maintenance and provide extremely long life. Precision Torque’s magnetic particle clutches and brakes are unique because of the wide operating torque range available. Our magnetic particle clutches and brakes require minimal maintenance and provide extremely long life. Have any questions? Request A Quote. Utilize SMOOTH hysteresis magnet technology and Sealed Driver Magnets that never have to be replaced! This equals HUGE maintenance savings over the lifetime of your Precision Tork manufactured headsets! You won’t believe how easy it is to set and adjust the upper spring assembly and application torque, especially with our new tool-less adjustment features. Get the appropriate top load force and eliminate over-tightened caps to significantly increase your capping performance! We offer direct replacements for all of the major OEM machines – Alcoa (CSI), Zalkin, Fowler, AROL, Krones, KHS, Linker, Federal, Fogg and many more! Have multiple machines in your plant? Precision Tork can provide you with a common clutch and chuck package to eliminate the need for stocking different rebuild kits and chucks! It will also simplify your operating and rebuild procedures by only having one style of headset throughout your entire facility! We’d like to hear from you. If you have a question or would like to make a comment, you may e-mail us using the form below. Items marked with an asterik are required. A Technical Service Specialist will contact you within one business day.